It takes Laston Charriez no time at all to recall his favorite childhood book. “Curious George,” he says. Since he can remember, Charriez has been curious about everything around him, a trait that drew him to marketing. He worked in his family’s drugstore, and as he watched people shop, he wondered what inspired them to make their selections. Why did some brands earn loyalty while others did not? What words or promises appealed? What was going through all of those customers’ minds? Charriez asks himself these same questions as the senior vice president of marketing for the Americas region at the Western Union Company, but this is different from any other marketing position he’s held. Western Union, a leader in global payment services, has a dual focus on the sender and receiver that most companies don’t. Customers can choose a number of means to make their transfers; Charriez identifies what triggers them to choose Western Union. “We know that what the consumer cares about most is getting money there quickly and reliably,” he says. Tracking how the senders and receivers interact with Western Union offerings is an ongoing and complex process. Charriez’s team does extensive research to delineate what he calls “points of passion.” These points describe why any given consumer or group makes certain choices. Understanding these can affect everything from marketing to product development. 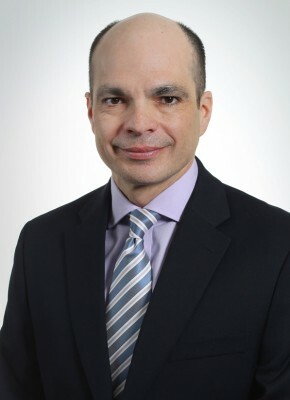 Many Hispanic individuals send money internationally to friends or family members, Charriez explains, and they choose Western Union because of its practicality and convenience—their “points of passion.” For Hispanic consumers, Charriez knows that offering mobile technology, different speeds of delivery, and many locations is key. There are also more specific considerations Charriez keeps in mind. For example, Mother’s Day is a huge event for Western Union, and that is especially true among Hispanic consumers. “I tell you,” he says with a laugh, “they don’t send money for dad. Poor dad. Mom is number one.” Knowing that, Western Union can work to prepare itself for high traffic that day and can offer special programs and deals for its regular customers. Knowing a group’s passion points is important, but Charriez also makes a point to know what is being said indirectly about the company. Customers may be polite in surveys, not spelling out how they feel about a marketing campaign, but if something insults them or doesn’t make sense, they’ll talk about it on social media or among friends. Charriez’s job, and the job of his team, is to track talk about Western Union products and services that happens outside of the company as well as in internal surveys. They have to stay up-to-date about how people feel about Western Union, and it’s rare that real opinions are dropped in their laps.